On the first Sunday of each month at Westbury Park Methodist Church, we have a special service for children under 7 and their families. It is informal – action songs suitable for little ones, a story and some simple prayers. It starts at 09.15 and the service lasts about 20 minutes. There is no lower age limit for this service! A simple Bible Story Time for the under-fives. 11.15am, 2nd Tuesday of every month, WP Methodist. 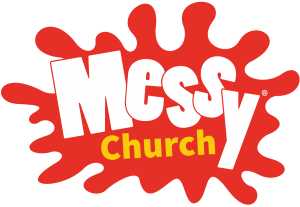 Messy Church is going to take a break in the Autumn term 2018 while we review its future. There will still be plenty of child-friendly activities for families to do – Messy Church goes Large, Scary Stories on Halloween, activities to mark the centenary of WW1 and of course our ever popular Christmas Services. Ever thought that church was too neat and tidy? Well, come to Messy Church instead! From 3.30 onwards on the third Wednesday of the month – there will be an hour of craft, a short service and then we’ll all have dinner together before home time. It’s free and all ages are welcome but especially primary school children. Contact: Abigail (see Contact us). There are crèche facilities available with a variety of toys at St Alban’s 10.15am service. The room is glass fronted looking into the church and the service is relayed into the crèche via a loudspeaker. Use it for as little or as much of the service as you need. The crèche is most suitable for children under 3 years of age. the all-age family service.There is no Sunday Club on the first Sunday in the month. As children approach 3 years old & the crèche may start to lose its appeal, the Bright Stars group takes them up to the time they move into Year 1 at school. Bright Stars meet during the 10.15 a.m. service at St Alban’s Church on the third, fourth and fifth Sundays of each month. We meet in the Wells Room, St Alban’s Church Hall, a small room decorated with pre-school displays. The emphasis is on play and fun! Parents are welcome to stay or return to the service depending on the needs of your child. Follow the crowd during the second hymn at the 10.15 service for a warm welcome in the St Alban’s Church Hall. Join the Discoverers, Adventurers and Explorers for a variety of activities such as games, craft and drama. Meet in the Vestry to find out more! St Alban’s Junior Choir welcomes all children of primary school age or just below. Junior Choir meets together from 6.15 to 6.45pm on a Friday night in St Alban’s Church in school term time. Nicky’s teaching is based on voice to voice technique and does not require an ability to read – just enthusiasm! The main aim is to build self confidence to perform. Choir practice is on Friday night and we are looking for some new members. The ‘front row’ ( trebles ) meet from 7 – 8.30pm and need to be aged 7 – 16 years. The ‘back row’ has adult singers singing alto, tenor or bass and meet from 7.30 – 8.30pm. Enthusiasm is more important than ability !! Any changes will be noted in the weekly church newsletter.